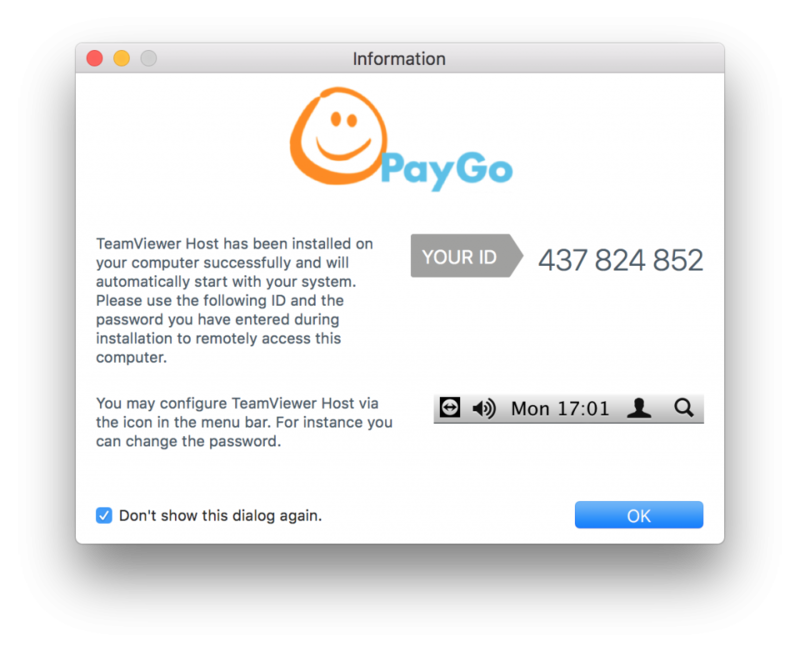 This will take you to the TeamViewer download page. 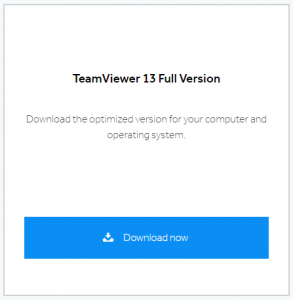 Download TeamViewer 13 for Windows by clicking the Download Now button for either the TeamViewer 13 Full Version, which will automatically detect your operating system, or by directly selecting the Mac version. 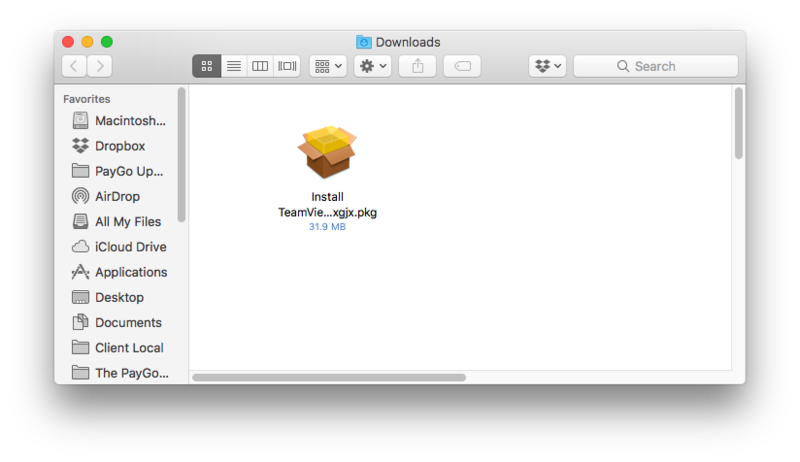 The installer is typically downloaded to your Downloads folder. 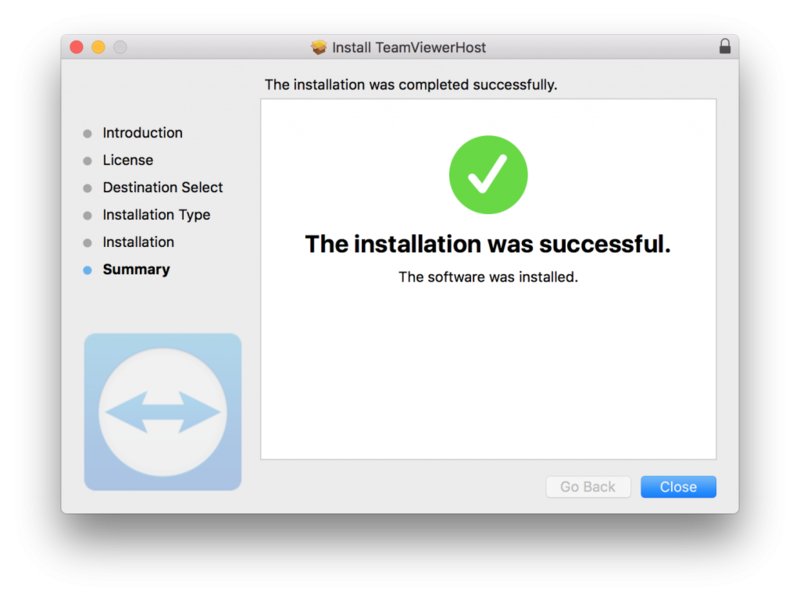 Double-click on the Install TeamViewer Host file and follow its prompts. 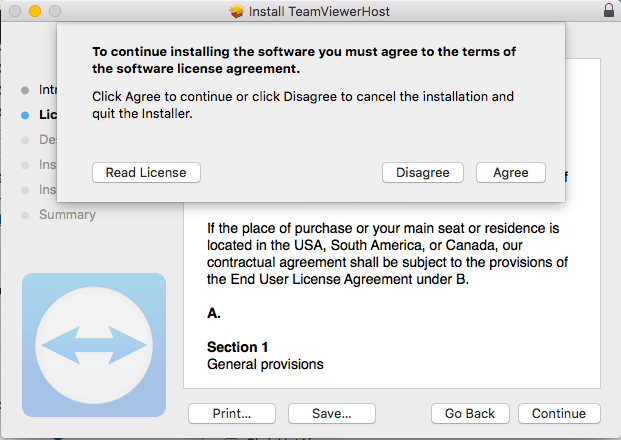 When you are ready, click the Agree button. 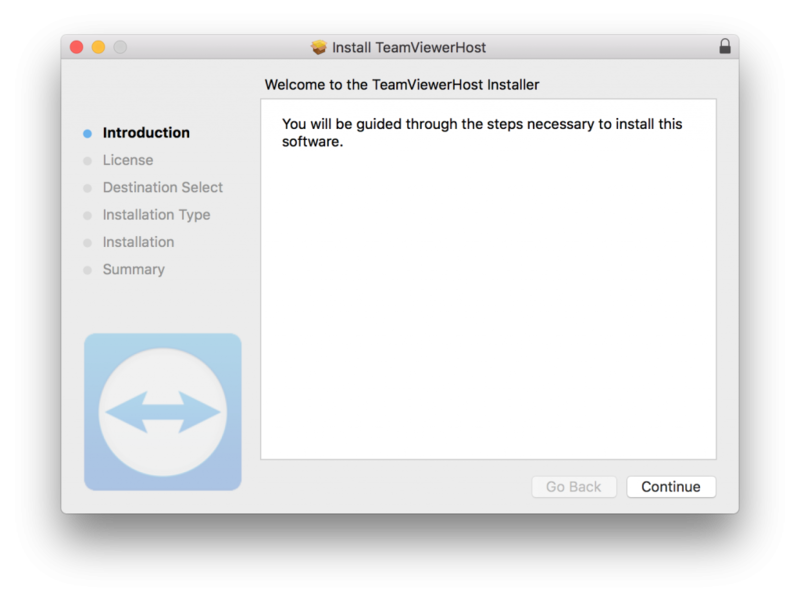 Next, you will be asked to select the disk you want to install the TeamViewerHost software. Once you have selected the disk, click the Continue button. 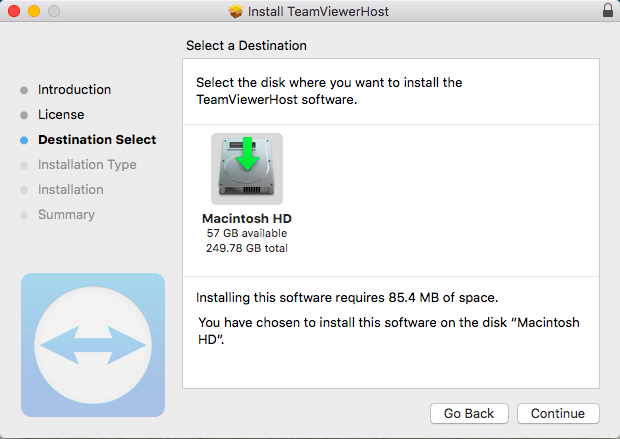 Note: Please look at the space available on the disk you have selected. 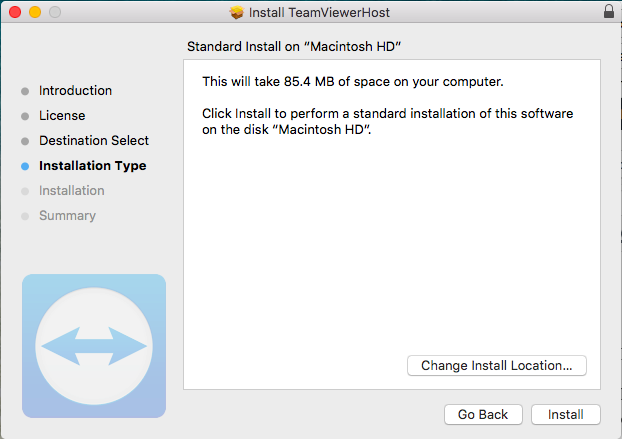 In the following screen, TeamViewer will inform you of how much space it will take up on your computer (about 85.4 MB) and give you the option of switching install locations. 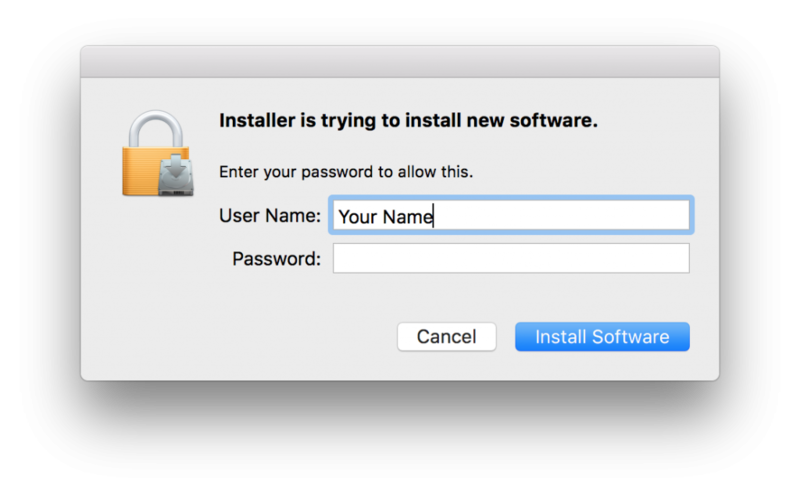 You will be asked to enter your Mac’s User Name and Password to install the software. 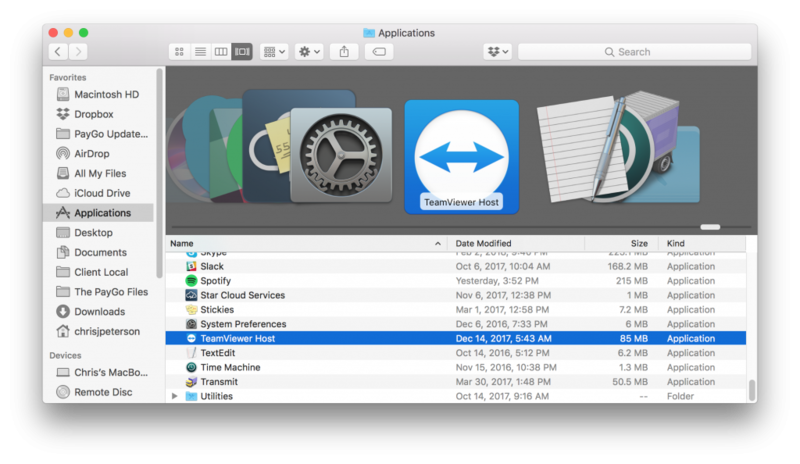 Go to your Applications folder in Finder and select the TeamViewer application. Click to open. Click OK to continue. Next, you should see the following. Click Ok here as well. Do not click OK on the Next Step until you have completed all of the required steps. Click on the Gear (settings) icon. 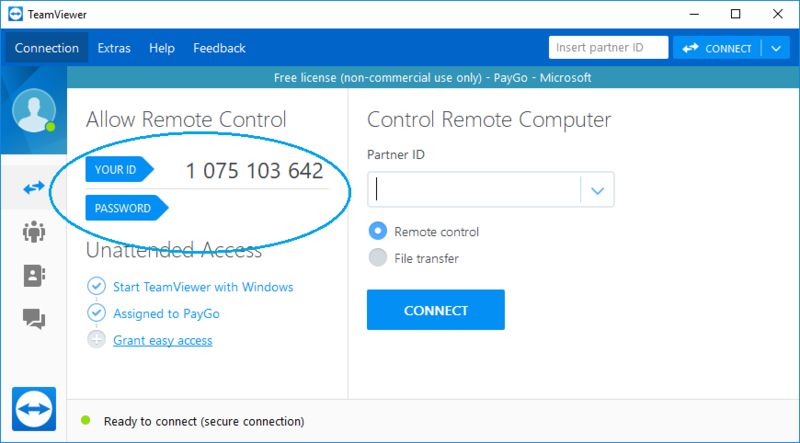 Troubleshooting: If as our initial instructions tester did, you hit OK button before hitting the Gear button, simply go into your Applications folder (Step 3). Click on the General button in the upper left-hand corner. 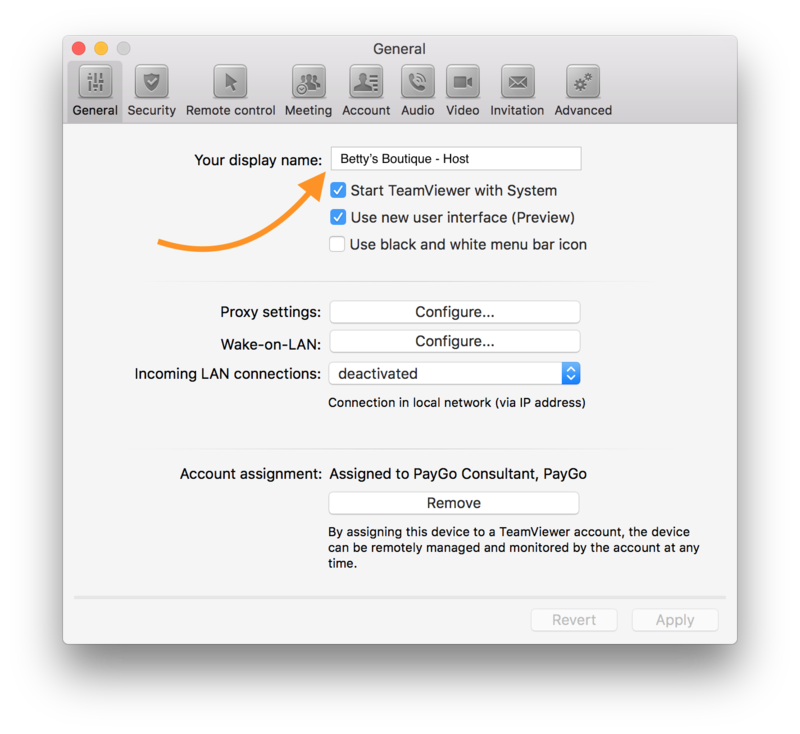 Set your Display name. 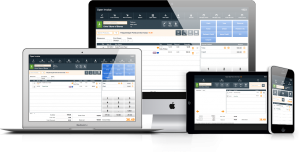 Please name it something like: MyStoreName – Host or MyStoreName-Backoffice. This prevents confusion as our Support Team assists a number of stores at the same time. Set your password and confirm it. 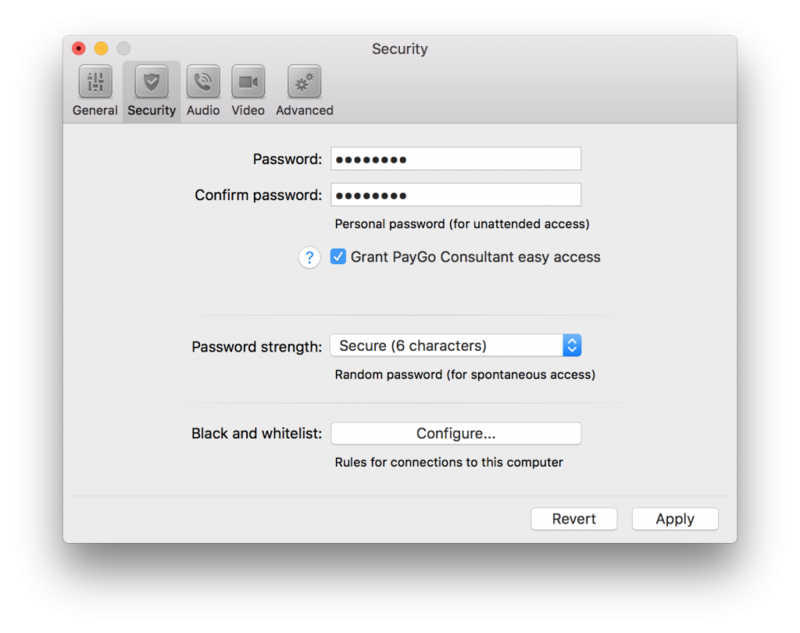 Check the box next to Grant PayGo Consultant (or PayGo Support) easy access! 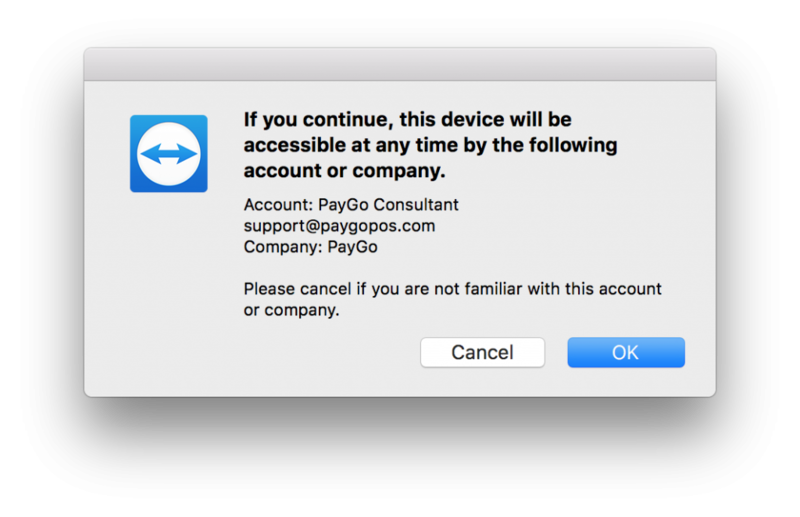 You will be taken back to the PayGo IT window. 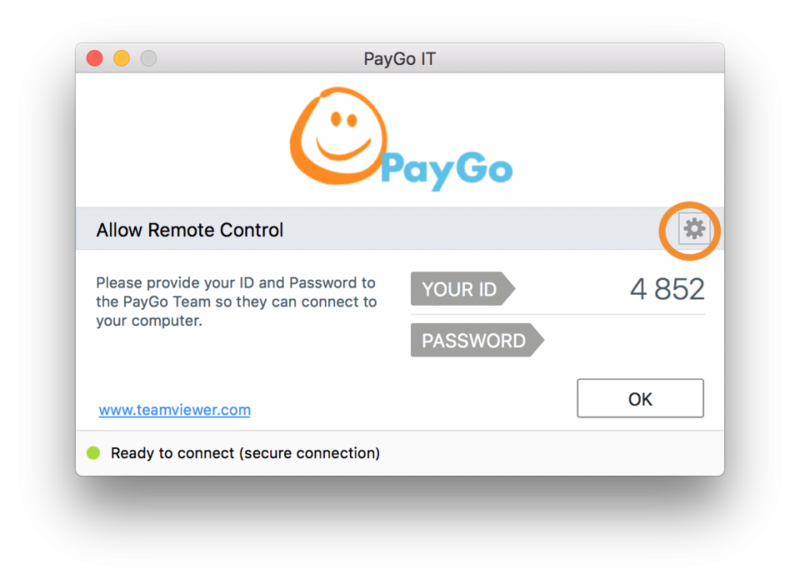 Once there, click OK to allow remote access.